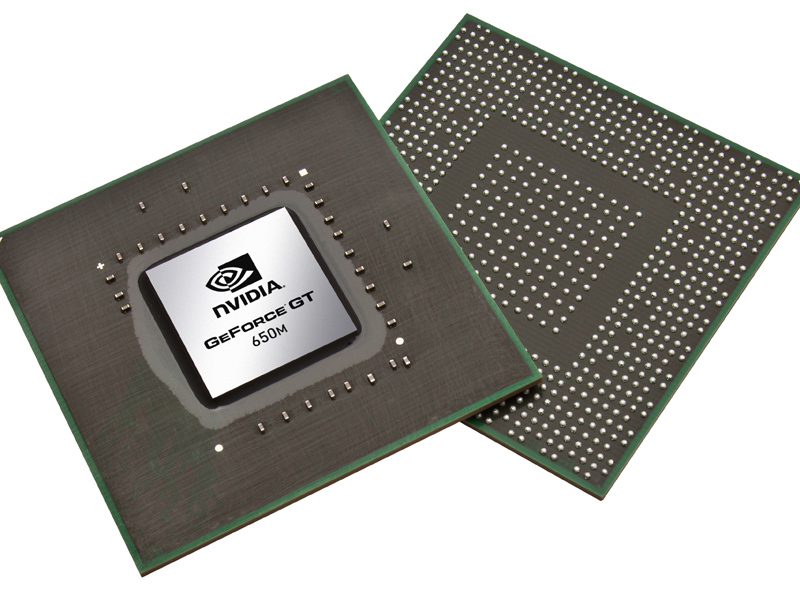 The NVIDIA GeForce GT 650M SLI is a high-end DirectX 11-compatible graphics solution for laptops, consisting of two GeForce GT 650M. Each card has a 28nm GK107 core based on the Kepler architecture. With SLI, each card usually renders a single frame (AFR mode). Therefore, it may suffer from micro stuttering in low fps ranges of 30fps. This happens because of different timespans between two frames (e.g., irregular delays between sequential frames). The 650M SLI is currently used only in the Lenovo Y500 with fast GDDR5 graphics memory and clock rates of 790 to 835 MHz (GeForce Boost). The gaming performance of the SLI combination ranges between a GeForce GTX 670MX (maximum, e.g. in 3DMark 11 benchmarks) down to a single GeForce GT 650M (if SLI is not supported by the game). On average the 650M SLI could therefore be placed a bit above a Geforce GTX 660M in the high-end class. Modern games of 2012 should therefore be playable with high detail settings. The power consumption of the GeForce GT 650M SLI should double compared to a single GTX 650M. Therefore, only large laptops can handle the heat dissipation.